Losses parade the charts on Monday, November 9, with the Dow Jones Industrial Average down by 1.11% and the S&P 500 falling by 1.14%. 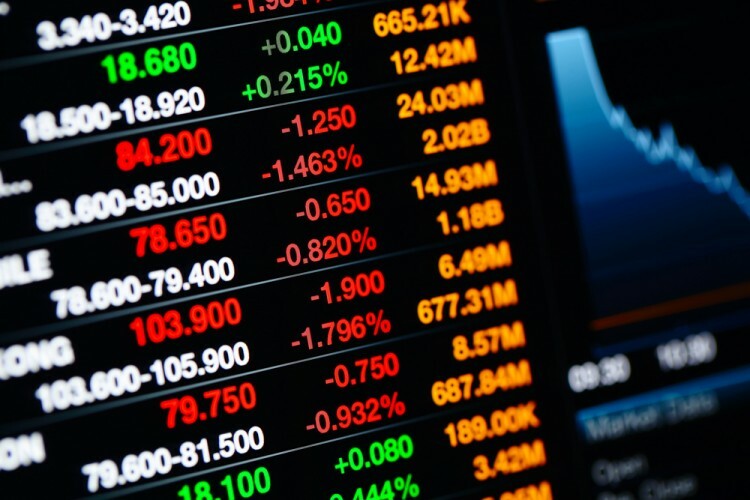 Four stocks, Twitter Inc (NYSE:TWTR), Itau Unibanco Holding SA (ADR) (NYSE:ITUB), Anavex Life Sciences Corp. (NASDAQ:AVXL), and Alcoa Inc (NYSE:AA) are underperforming the market, extending their today’s losses to the closing bell. Let’s take a closer look at the developments that sent these stocks lower in the intraday trading on Monday. We’ll also consider what hedge funds in our database have to say about these falling stocks. Hedge funds have been underperforming the market for a very long time. However, this was mainly because of the huge fees that hedge funds charge as well as the poor performance of their short books. Hedge funds’ long positions performed actually better than the market. Small-cap stocks, activist targets, and spin offs were among the bright spots in hedge funds’ portfolios. For instance, the 15 most popular small-cap stocks among hedge funds outperformed the market by more than 53 percentage points since the end of August 2012 (read the details here). This strategy also managed to beat the market by double digits annually in our back tests covering the 1999-2012 period. Twitter Inc (NYSE:TWTR) fell by 4.40% in light trading, amid its CEO Jack Dorsey, who is also the founder of Square, is preparing to launch Square’s IPO. When Square filed to go public, it was valued at $11 per share to $13 per share, reflecting a market value of up to $4.2 billion. By the end of June, 47 funds in our database amassed 2.90% of Twitter Inc (NYSE:TWTR)’s outstanding stock. Latin American bank Itau Unibanco Holding SA (ADR) (NYSE:ITUB)’s stock lost 3.34% fueled by Brazil’s economy slump. Bloomberg reported earlier today that economists are expecting the region’s recession to worsen and that it will take a longer time for a comeback. The decline of Brazil’s Index, the news outfit said, is affected by Itau Unibanco Holding SA (ADR) (NYSE:ITUB)’s survey, which showed that analysts have lowered their gross domestic product outlook for 2015 and 2016. A total of 23 funds in our database held 0.80% of the company’s outstanding stock at the end of June. On the next page we are going to take a closer look at the developments behind the downward moves of Anavex Life Sciences and Alcoa. Gabalex Capital’s Top Stock Picks For Q4 Locust Wood Capital’s Top Stock Picks For Q4 Iridian Asset Management Loves These Tech Stocks Multi-Billion Dollar Value Investing Fund Is Betting Big on These Dividend... A Look at Billionaire Mario Gabelli’s Favorite Small-Cap Picks Giovine Capital Loves These Five Stocks; Should You?